Stunning Box Canyon Views, Private Deck, Sauna, 2 Designated Parking Spaces, Walk to Everything. Property 6: Stunning Box Canyon Views, Private Deck, Sauna, 2 Designated Parking Spaces, Walk to Everything. In Town! Modern Townhouse! Sunny Deck! Mountain Views! Close To Everything! Property 8: In Town! Modern Townhouse! Sunny Deck! Mountain Views! Close To Everything! SOME FREE LIFT TICKETS AVAILABLE APRIL 1-8! ABSOLUTE SKI-IN/SKI-OUT IN TOWN! Property 15: SOME FREE LIFT TICKETS AVAILABLE APRIL 1-8! ABSOLUTE SKI-IN/SKI-OUT IN TOWN! Beautiful Town Home with free WIFI and close to gondola! Property 17: Beautiful Town Home with free WIFI and close to gondola! Townhome in Historic Telluride . Ski-in-Ski-out. Summer adventure HQ. Hot tub. Property 23: Townhome in Historic Telluride . Ski-in-Ski-out. Summer adventure HQ. Hot tub. Blocks to the gondola in Historic Telluride! 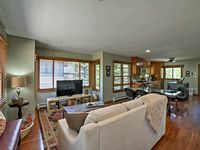 Property 28: Blocks to the gondola in Historic Telluride! Brand New, Ultra Chic Luxury Ironwood Residence In DowntownTelluride Town. Private Rooftop Hot Tub. Property 38: Brand New, Ultra Chic Luxury Ironwood Residence In DowntownTelluride Town. Private Rooftop Hot Tub. Brand New Townhome just steps to Lift 7! Property 39: Brand New Townhome just steps to Lift 7! President's Day weekend is almost here. And, the snow is getting deep! Property 42: President's Day weekend is almost here. And, the snow is getting deep! 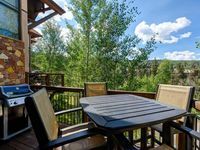 Luxury 4 BR+Loft Slopeslide Log Townhouse, Ski In/Ski Out, Great For Families! Property 45: Luxury 4 BR+Loft Slopeslide Log Townhouse, Ski In/Ski Out, Great For Families! Very nice, convenient to the lifts. Plenty of space for our party and all the amenities we&rsquo;d want. Nice area of Mountain Village and easy to access the ski resort. Great condo in a great location. Lots of light and great views! This condo is great for a family vacation. We had our extended family of 10 and all fit very very comfortably. The bedrooms all have their own bathrooms. The master has a huge walk-in closet and great space. The large windows and high ceilings in the living room make the place feel very spacious. The views of the mountains are spectacular. This location is perfect for skiing or just walking around Mountain Village. Having the ski lockers and the underground parking made it so convenient. The rental company was excelllent! They were very quick to respond to all of our questions and attended to all of our needs. We would absolutely rent this property again! !